I hope everyone had an amazing Christmas? This has to be one of my favorite Christmases because I just sat back and chilled. I have finally gotten to the age when I can tell my parents I don't want to go somewhere with them and they would be okay with it. I was honestly really surprised when I told them i wanted to go to church/stay home this christmas instead of hanging out with the extended family and they were cool with it. I guess they are slowly realizing they have to let me go soon coupled with the fact that I'm going to be living away from home for the next year. 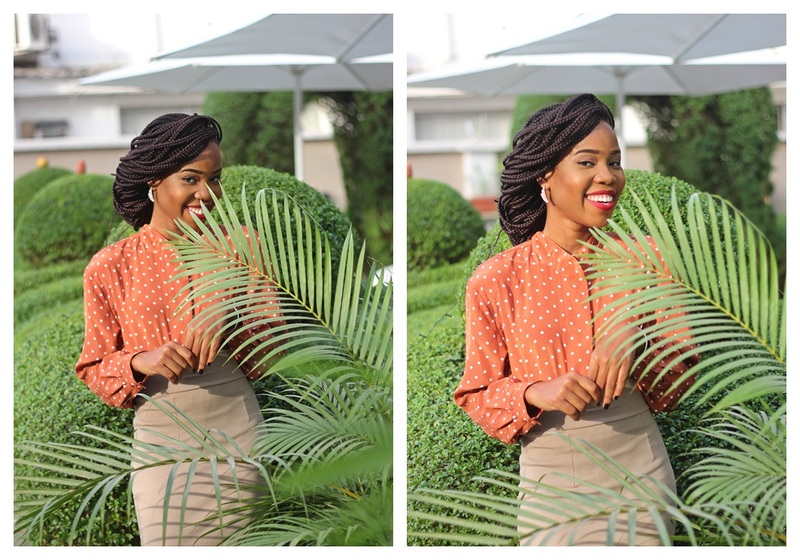 Now to the business of today, I have been following Grace and her blog since she started a few years ago and she is one blogger that is actually really stylish, like she knows her stuff when it comes to fashion. I don't think I've ever seen a bad outfit on her. When I got to Abuja she was the first person I reached out to, not even to shoot, I just really wanted to meet her because I felt we were friends already and she was just as sweet as I imagined her to be. We met for Ice cream, she took me to her vintage lady (who has the best stuff by the way) and we had the best time. I wanted the shoot to capture her personality and I think I was able to achieve that, she's bright and bubbly and tons of fun and I hope we get to hang out again soon. She also made the sandals worn in this shoot and worn by bella in my previous post. Isn't she just amazing? You can check out Graces blog here and show some love! Have you shopped at dressmeoutletlet.com? Hurry now to grab quality dresses and products at the best price with rapid dispatch at your doors step. Grace has great style and she wears vintage really well. BTW, these pictures are so beautiful and clean. Can't wait for the day my mum will let me do sth like that. I love Grace's style...always vibrant. Beautiful shots. I have been following Grace's blog for a few years now. Love that she always seem so happy and positive in all her posts. You def got what you were aiming for cos I can just tell she's a sweet, warm person. I am short of words, like this just brightened my day sha. 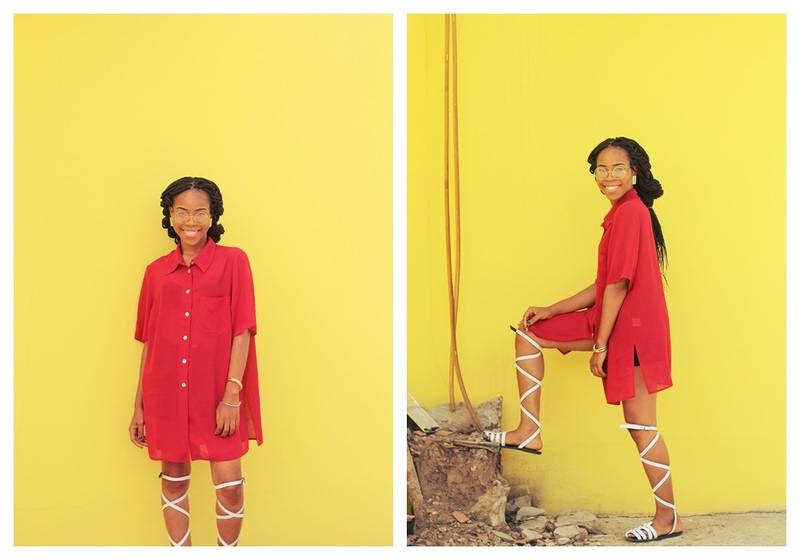 Love the colours, her smile and the photos are too dope! i love love...Mide when are thouh shooting me, Grace really does know her stuff and so do you. Your Photos are beautiful. Love these photo's I think they look gorgeous! Love how the colours work so well together!